And no one returns from the sanatorium. 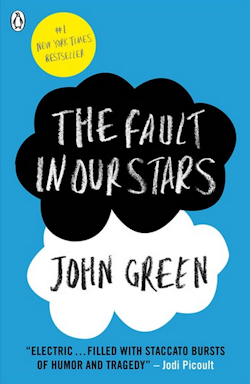 A slim, sorrowful volume that splits the difference between The Fault in Our Stars and The Girl with All the Gifts, The Death House documents the last days of several students in a school full of Defectives: young people who have been taken from their parents and installed in an isolated location because of something bad in their blood. Something that'll kill them all before long. It's school but not school. Like this whole place is life but not life. At least the teachers, who disappear off to their own wing once lessons are done, will get out of here. Sometimes I'll catch one watching us as we work as if we're animals in a zoo. I can never decide quite what the look is. Fascination or fear, or maybe a bit of both. 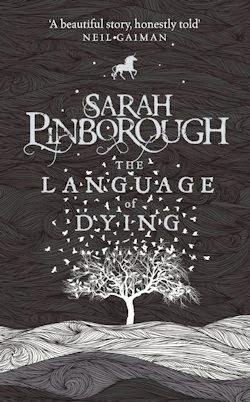 On the back of The Language of Dying, a life-affirming dark fantasy about the passing of a man with lung cancer, Sarah Pinborough opts not to detail the Defective gene here. That isn't to say there aren't certain suggestions—implications that when the time comes, the kids in question will turn into monsters of a sort; monsters some of them have seen in the movies the school screens each week. To wit, we can guess what happens next. We can guess that death is essentially a blessing on the affected. The kids struggle to see it that way, because of course they do—they're kids. Boys and girls from eight to eighteen bundled into black vans and largely left to their own devices on an island where they make friends and enemies, fight and make light; where they do whatever they can do, in truth, to avoid facing the fate that awaits them. Pinborough's protagonist, Toby, is the top dog of Dorm 4, meaning he's equal parts big brother and bully to the boys in the other bunks. His only wish is that "things [...] stay the same. When things stay the same, you can't feel time moving forward." Alas, there's no escaping from the fact that the past is a part of him, and the future is coming soon—no matter the horrors it holds. His routine—all eating and sleeping and shouting and sneaking—is utterly interrupted at the start of the second act by the arrival of a couple of new kids, including Clara. Clara takes a shine to Toby, accompanying him on his adventures after dark, however much he resents her presence. It's "another crack in the defences I've worked so hard to build since I arrived at the house. I'm becoming 'me' again. I want to fight it. I should fight it, but here in the night with Clara I can't stop myself." Not because of believing in some god or something, but because always, always, [religion] highlights that the end is coming. You've got to think about after. It's hard enough trying to not think too much about before, and thinking about after is scary. If you don't buy into their heaven, then seeing Ashley with his Bible and superior lack of fear is a constant reminder of what's ahead. No one in here needs that. It's really hard to just enjoy now. If the house has taught me anything, it's that. I think about that for a moment. Not the house. The house hasn't taught me that. Clara has. You've read books before, I bet, so you'll know how this story goes. Before long Clara and Toby are quite literally sitting in a tree, K-I-S-S-I-N-G. That their relationship is "doomed to failure" doesn't mean it can't bring a little light into their lives—a light that burns brighter when together the Defective darlings hatch a plan to escape the island. Here's where The Death House goes from fair to fine. Unfortunately, its first act is rather flat. Narratively, no one direction—ahem—can be discerned, and an absence of incident means that the early going is slow. To make matters worse, Toby's perspective is perfectly unpleasant. He's mean and miserable, angsty and angry. I realise he has reason to be, but that doesn't make it any easier to invest in him. Thankfully, Toby turns a corner after Clara's arrival. She's "a small piece of driftwood in the darkness" that Toby—suddenly rendered a real boy with real feelings rather than a sullen so-and-so—clings to, at times for dear life. A markedly more balanced character from the first, though not without her worries, Clara is smart and strong and sympathetic, whereas her other half is just hard work. To Pinborough's credit, both are decently developed by the end of The Death House, which precisely no one will be surprised to note is likely to lead to lumps in the throat. That's the trouble with The Death House, ultimately: precious little about it is surprising. The two books I touted at the top do what it does better by most measures—excepting setting, in that the dislocated sense of time and place Pinborough achieves here is particularly powerful. 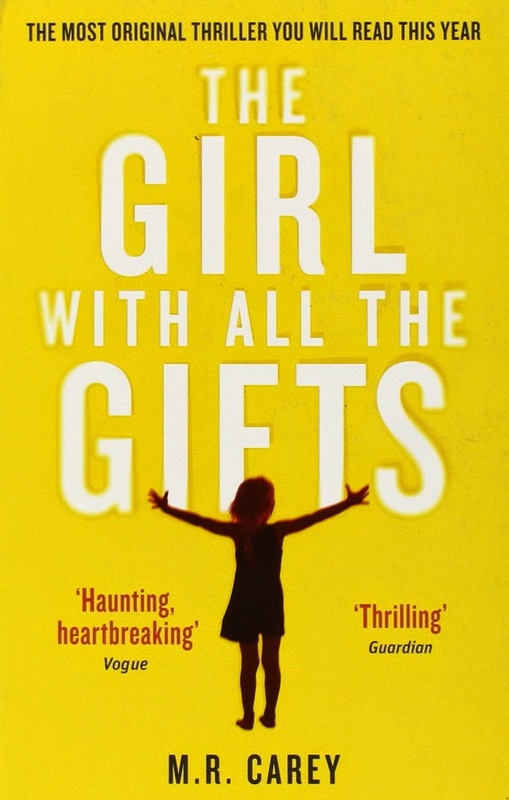 An isolated island, wet and windy and wintry, arranged around a school of sorts, at the centre of which is a rickety lift to a wing of the building known as "the sanatorium," where Defectives are taken when they finally start showing symptoms. We never see it for ourselves, yet its presence is very much felt. It hangs over the whole story like an awful promise. An awful promise Pinborough keeps, even. I wish she hadn't, however. 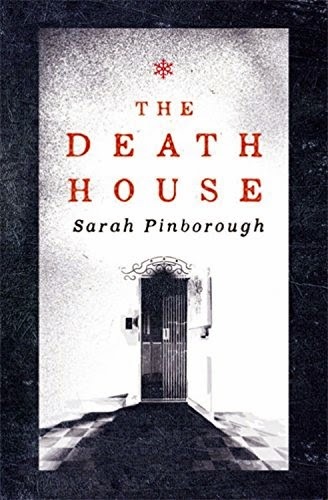 As it stands, though it's completely competent, The Death House is not the exceptional new novel it could easily have been.